After having a short week last week, this one seems interminable. While I’m planning a few meet-ups with friends, I’m looking forward to spending a lot of time at home, reading and watching Boyhood to see if it was worth all that Oscar hype. 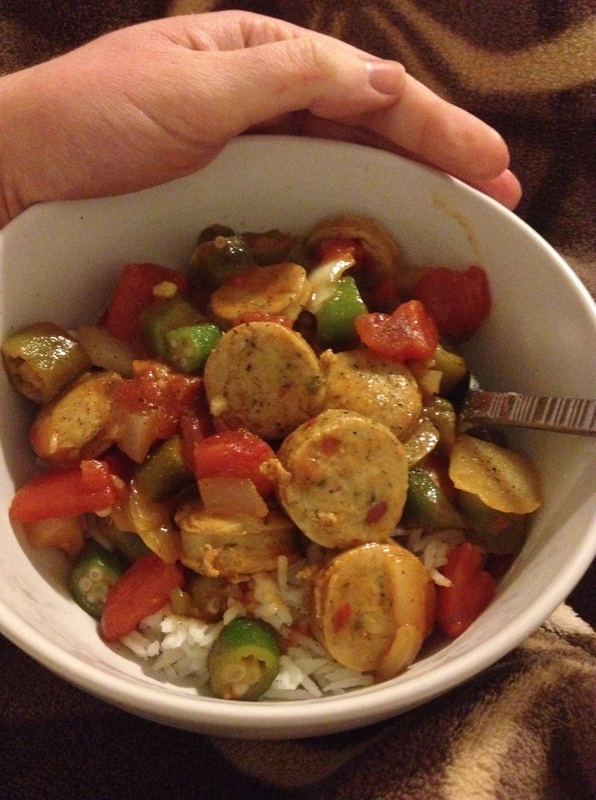 On Tuesday, I got cozy with a favorite dish: okra and tomatoes over rice. It’s like a quick version of gumbo that’s a staple in the Konter household. I added jalapeno chicken sausage to make it a full meal. It was perfect for a night with temperatures in the single digits. My face does not fare well in the cold, dry, NYC winters. This is the first time I’ve actually done anything about it, and I can’t believe it took me so long. 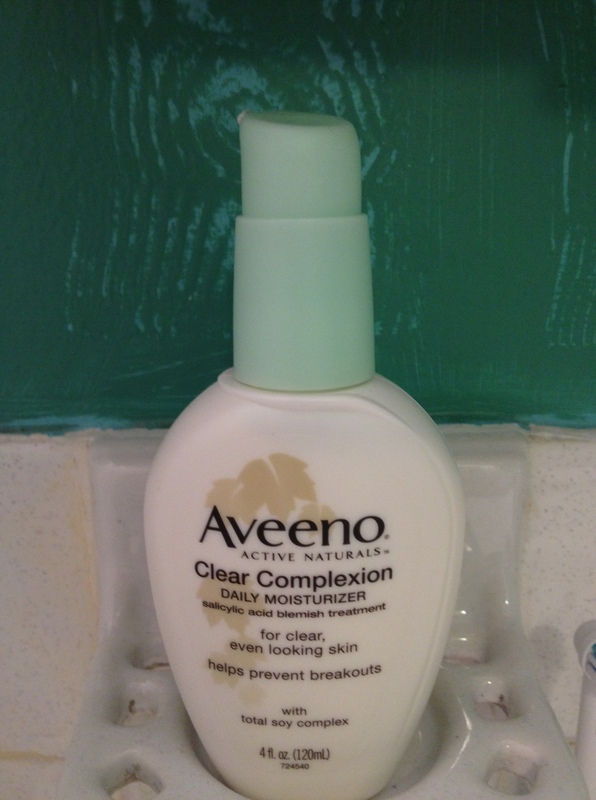 This Aveeno moisturizer keeps my skin from drying out and seeps in immediately so there’s no oily feeling. It also has salicylic acid in it so there’s no fear of it causing breakouts. This is helping make winter bearable. While in Vegas, all the gals got our makeup done and I got hooked on YSL’s lipstick. 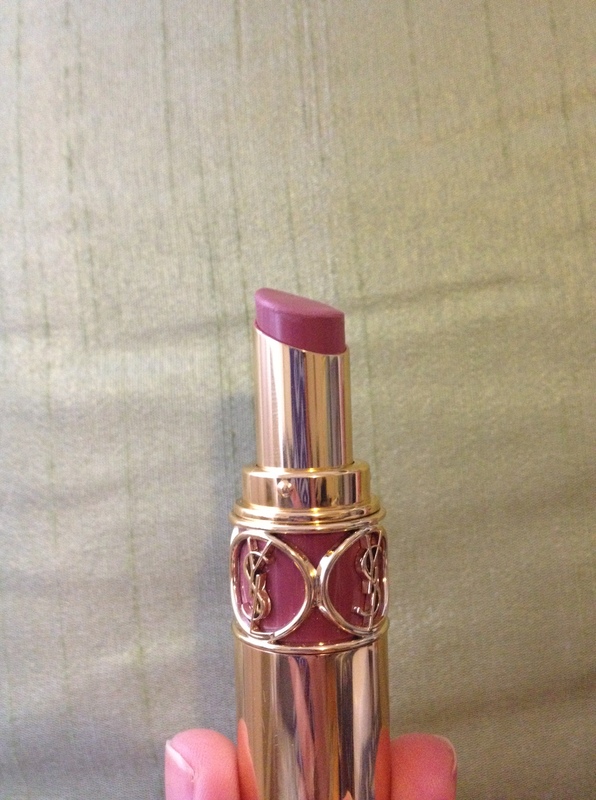 This one (Rouge Volupté #3) is the perfect beige color. Tags: Beauty, Products. Bookmark the permalink.